Hamish and Lachlan Davidson turn their talents to a video interview for the 2014 MountainGrass Festival to be held in Harrietville on 14th – 16th November. 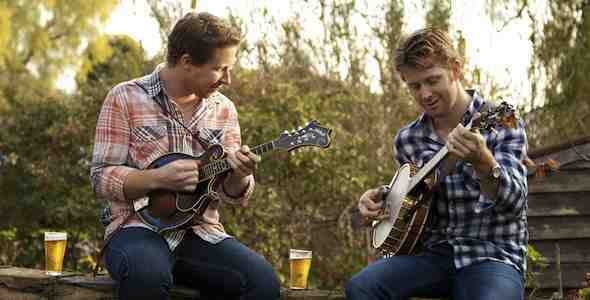 This is the second MountainGrass Festival continuing a tradition of some 25 years of bluegrass music in Harrietville. Highly recognised in the national and US bluegrass scene, the Davidson Brothers deliver a very light-hearted – experimental – interview on MountainGrass 2014. Lachlan Davidson is the current Chair of the Australasian Bluegrass and Old-Time Music Association Inc. Hamish is currently appointed to the MountaingGrass marketing committee.